This time I had the pleasure to interview the Verge team. A controversial project with a huge community supporting it. Their focus: privacy and security. How would you describe the main pillars of the Verge? The main immutable pillars of Verge are thus, community supported, open source, decentralized, anonymity optional privacy focused software, that can be used as a currency. The main strength of the Verge team and supporters is passion, no one is paid, we are all volunteers. Verge runs on the passion of the community that supports it. Thinking about the future, do you have relevant upgrades or partnerships on track? Verge has a partnership with Coinomi wallet for parts of the Tordroid wallet. We are looking forward to RSK.co implementation on the Verge blockchain, this will increase transaction speed and allow for smart contracts and anonymity optional token creation. Verge will be upgrading all tech, there will never be a time when Verge is done upgrading. We are also looking forward to loading XVG onto a Token Pay debit card in Q4 this year. In a period where privacy coins are popping everywhere, what would XVG bring more than other coins? There are really only about ten privacy focused cryptos out there. But more popping up all the time, as a open source crypto Verge is not concerned with the copy cat industry that is fintech. Verge plans to continue to innovate beyond what the competition can keep up with. Is the privacy guaranteed for user or for the transactions registry too? Privacy is guaranteed with Verge on a public ledger. With Wraith Protocol optional anonymity is offered on a private ledger. 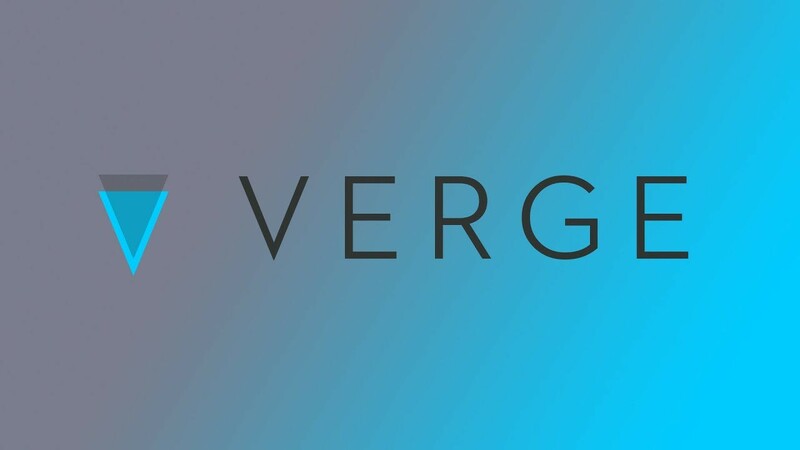 Verge is a digital cash or credit system, where WP can be used like cash and when turned off XVG can be used like credit, in that only those who you share your identity with can connect it with your transaction history. A part of the Crypto community is often complaining about Verge, claiming an aggressive marketing campaign and actions thru it’s own community. What would you say about those concern? Since I have been with Verge I have seen people complain no matter what happens. We are always looking for constructive feedback but we tune out the fear, uncertainty and doubt that those new to Verge often bring up without having done some basic research into what Verge is and how it works. The marketing team has a code of silence until items are finished and get approval for sharing. So while the public is criticizing a lack of marketing the team is usually making good progress. The current scenario with Verge could not be any better, WP 4.0.1 is getting the bugs worked out and will be announced as fully implemented any day now. I have organized a XVG Ninjas group, composed of new and old admins to get more organized behind the scenes and we invited some marketing consultants to work with us on more promotional strategies and PR work. As far as the crypto ecosystem privacy cryptos will be the main focus in 2018 as regulation, taxation and futures trading move into the digital economy.